GeneaWebinars: Your Eastern European Genealogy Questions, Answered! Your Eastern European Genealogy Questions, Answered! 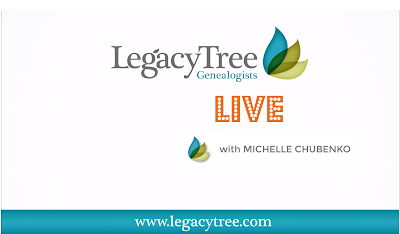 If you missed our special Legacy Tree Live broadcast on the Legacy Tree Genealogists Facebook page, we've got you covered! The full video of the broadcast is available to watch on our YouTube channel.